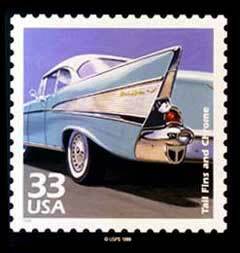 February 2013: The U.S. Post Office released a set of commemorative stamps honoring Muscle Cars from the 1960s. 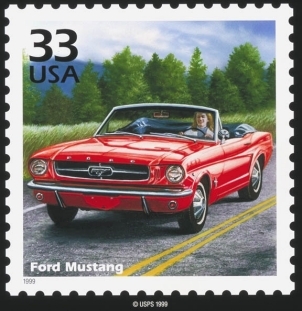 These stamps were very popular with car enthusiasts and sold out quickly (unlike some commemorative stamps they have issued over the years). 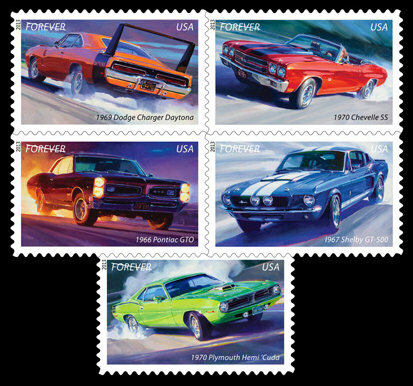 Here is a link to the USPS website that provides more details about the Muscle Car Stamps: Muscle Car Stamps. 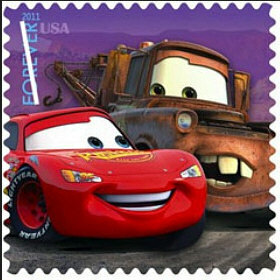 What I like about these stamps is that they represent the performance cars I grew up with. 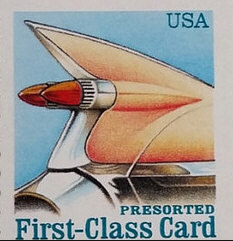 I never owned any of these cars, unfortunately, but I did get to drive most of them at one time or another. 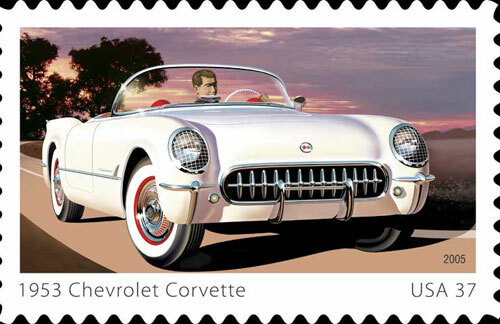 Commemorative stamps like these remind us of our automotive heritage and where we came from. 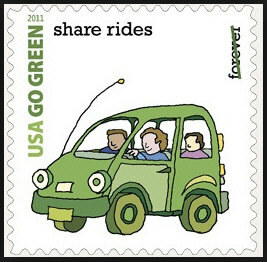 Ralph Nader, the safety Nazi of that era, is probably turning over in his grave at the notion that such stamps would ever be published. 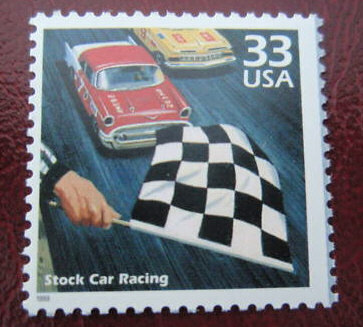 The stamps don't honor reckless driving, speeding or street racing. 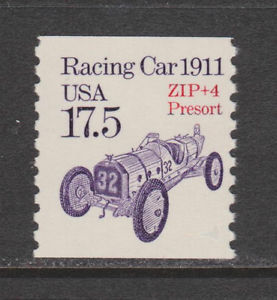 But it is interesting to note that all of these stamps show a car peeling out and smoking the rear tires. 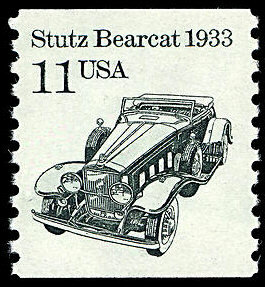 The initial print run of these stamps was 30 million. 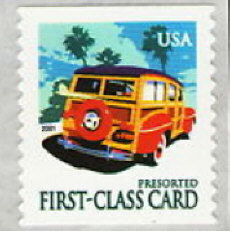 But they proved to be so popular that the post office printed another 60 million stamps. 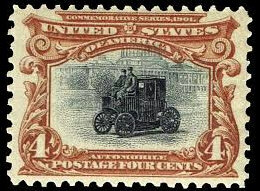 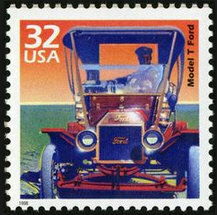 Continuing with the automotive theme, the post office released two stamps commemorating the early days of hot rodding. 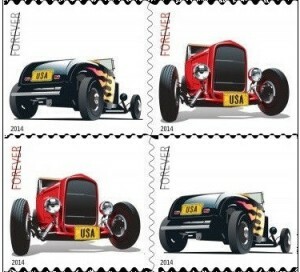 The stamps depict two 1932 Ford (Deuce) roadsters, a black 1932 Ford with orange flames running down the car's body and a red 1932 Ford. 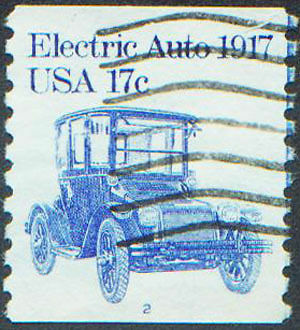 To meet the anticipated demand, the post office printed 100 million of these stamps. 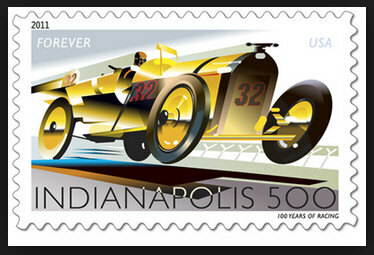 Long live snail mail with cool stamps like these! 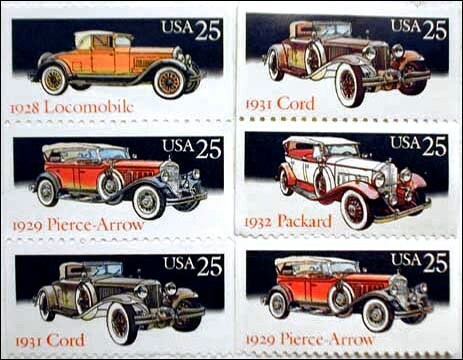 Check out Jay Leno's Garage to see his video about why these particular hotrods were chosen for the stamps, and his test drive of the red '32 Ford. 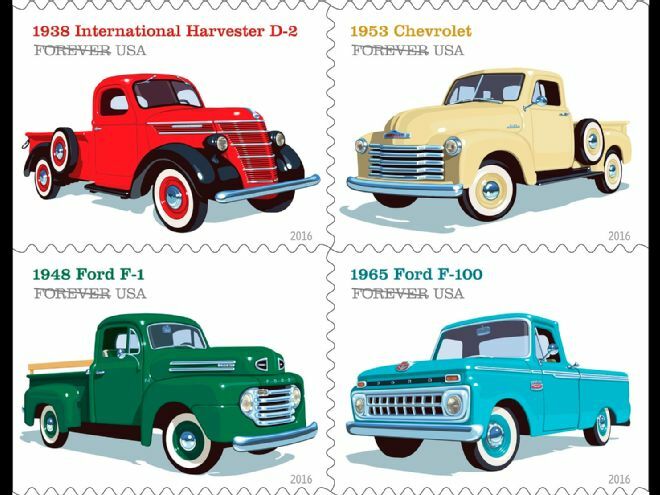 The post office released four stamps honoring pickup trucks of the past: a 1938 International Harvester D-2, 1953 Chevrolet pickup, 1948 Ford Pickup, and 1965 Ford F-100. 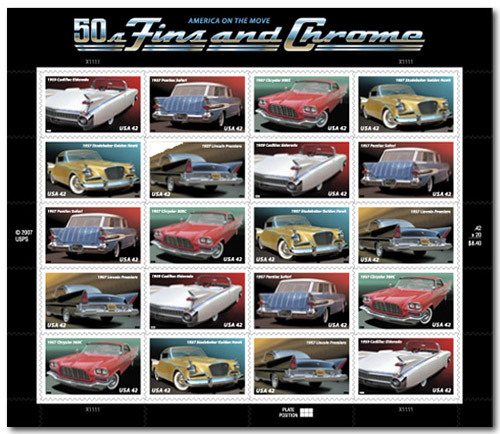 These are all "forever" stamps (issue value 49 cents). 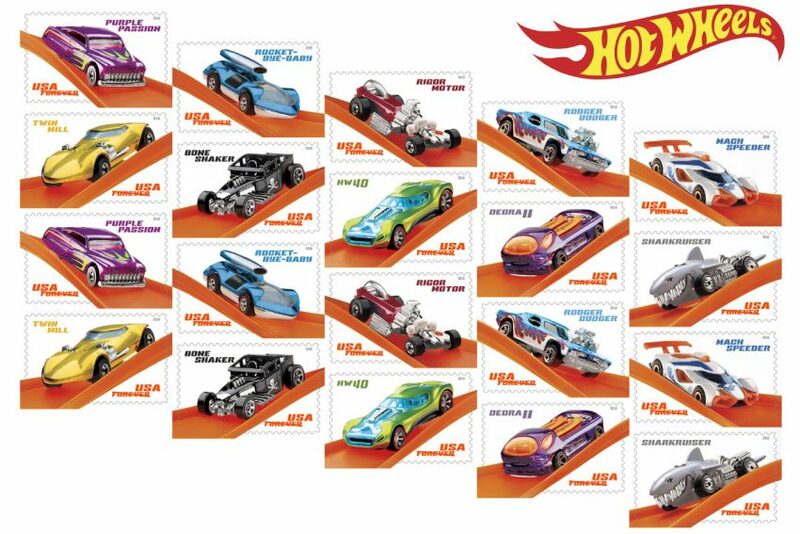 To honor 50 years of Hot Wheels, the U.S. postal service cam out with these Hot Wheel stamps (issue date Sept 29).